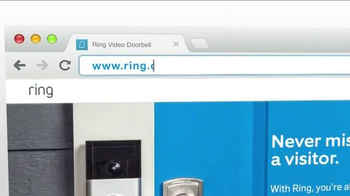 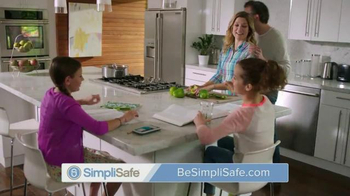 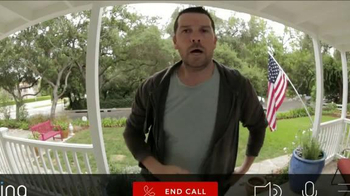 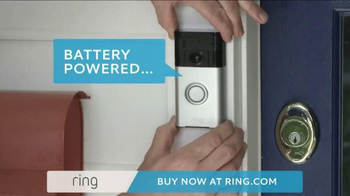 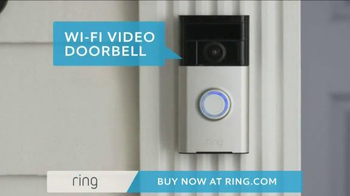 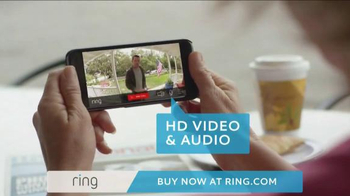 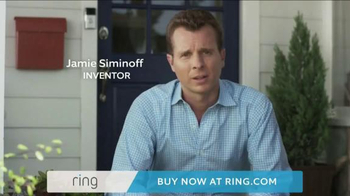 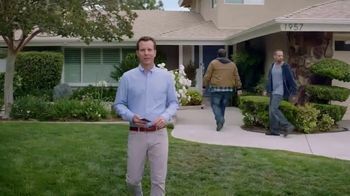 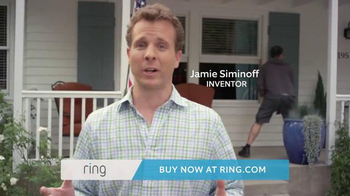 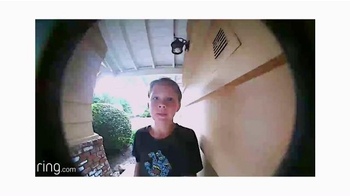 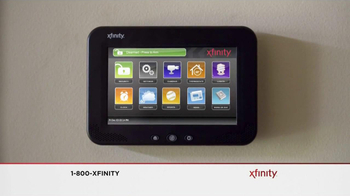 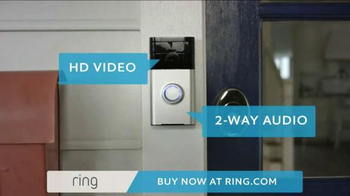 Jamie Siminoff talks about his invention, the Ring video doorbell, and how he aimed to prevent burglaries before they happened. 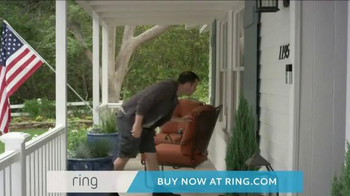 A man scopes out a house and rings the doorbell under the guise of trimming trees. 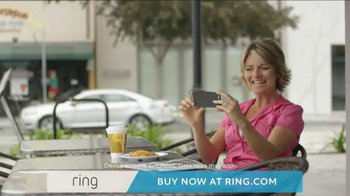 The owner of the home, a woman, checks who is at her front door from the patio of a coffee shop. 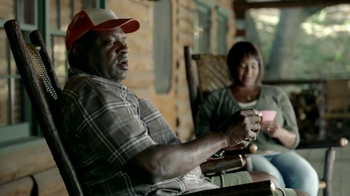 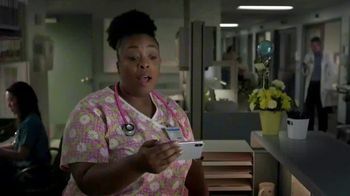 She doesn't buy his story and tell him that she is busy bathing her children.